Save $$$$$ by using a Kit Home and build the home that you want the way you want. You will be working with the company owners so you’re guaranteed personalised service. The New South Wales Government has introduced State wide planning policy which makes getting building approval for GRANNY FLATS or a second dwelling easier and faster. Southern Highlands, Bowral, Mittagong, Eden, Narooma, Batemans Bay, Nowra, Wollongong, Gosford, The Entrance, Wyong, Newcastle, Nelsons Bay, Forster, Port Macquarie, Nambucca Heads, Coffs Harbour, Byron Bay, Tweed Heads, Bega, Canberra, Goulburn, Yass, Gundagai, Katoomba, Bathurst, Cessnock, Maitland, Singleton, Mudgee, Dubbo, Gloucester, Kempsey, Tamworth, Armidale, Grafton, Lismore, Tenterfield, Wagga Wagga, West Wyalong, Parkes, Forbes, Albury, Griffith, Broken Hill, Wentworth, Mildura, Cobar, Bourke, Lightning Ridge, Junee, Tocumwal, Moama, Cooma, Kiama. 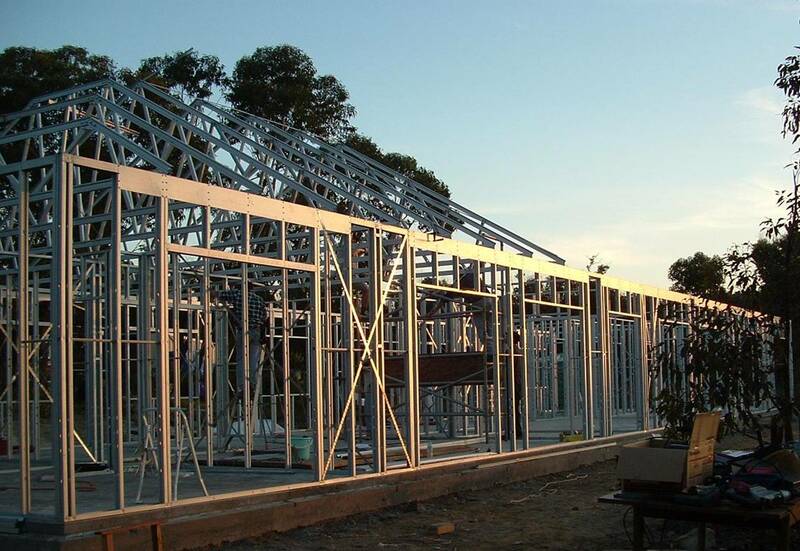 We manufacture our own steel frames & trusses for - DIY - bush fire prone areas, custom designs, architectural design, master built, Granny Flats, - sloping blocks or difficult sites. Project managed (within the Illawarra) or owner builders, eco homes, green designs, energy efficient to our design or yours.